Putting off your plumbing maintenance may save you cash today, but you could be faced with expensive costs for major repairs later on if you neglect maintaining your plumbing. Our expert plumbers can remove tree roots and clear organic waste and build up from your blocked plumbing pipes, saving you money on expensive repairs down the track. Plumbing maintenance can help to avoid blocked drains, cracked pipes, burst pipes and broken pipes. Leaking taps and broken taps can be repaired quickly and efficiently by our Plumbers at Everlast Plumbing, as well as leaking toilets and blocked toilets. 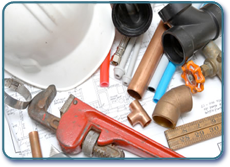 With our plumbers across Sydney Wide area, you can be assured your plumbing needs will be taken care of promptly by our expert team. Looking after and maintaining your hot water system, gas and plumbing can save you money in the long run. Call Everlast Plumbing to get the job done today without delay. We provide maintenance on all types of hot water systems, including Rinnai, Rheem, Dux, Aquamax and Bosch hot water systems. If you are in need of a new hot water system or an upgrade. we can help you.